How to watch Grace of Monaco (2014) on Netflix Argentina! 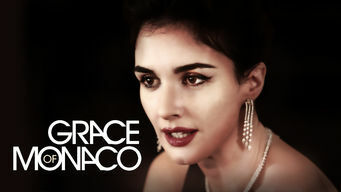 Yes, Grace of Monaco is now available on Argentine Netflix. It arrived for online streaming on October 7, 2017. We'll keep checking Netflix Argentina for Grace of Monaco, and this page will be updated with any changes. While weighing an offer to resume her career in Hollywood, Grace Kelly -- now the Princess of Monaco -- helps her country in a dispute with France. She traded being Hollywood royalty for being actual royalty. Six years later, a princess considers her future.